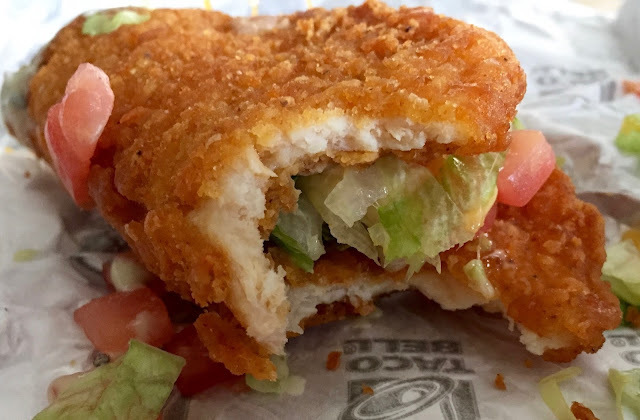 Ever since KFC introduced the Double Down sandwich I’ve been saying that all bread should be fried chicken. Well, after almost seven whole years, another fast food franchise has finally risen to the Colonel’s challenge. 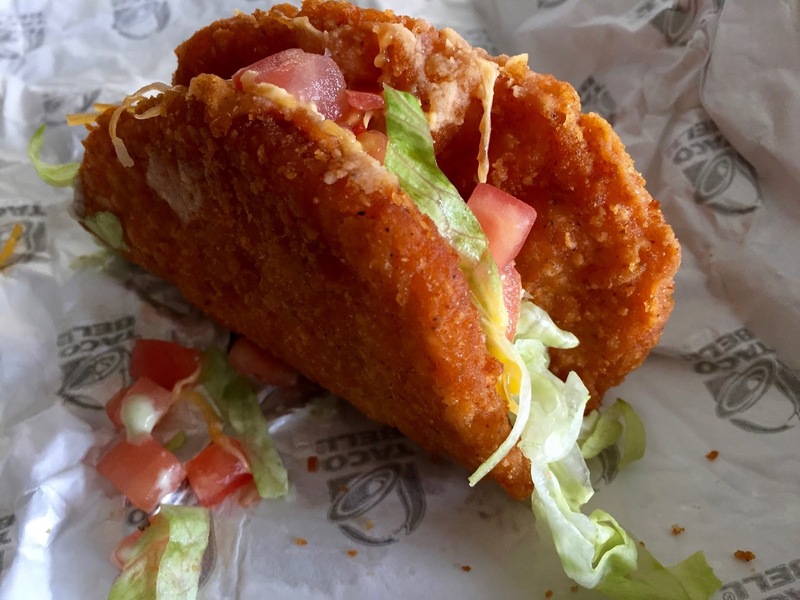 Sadly, though, Taco Bell's new Naked Chicken Chalupa turned out to be kind of a ripoff. It’s not that the thing doesn’t taste okay - the avocado ranch sauce, especially, is actually really good - but when I bit in I realized that something important was missing. Take a look. That’s lettuce, tomatoes, cheese and sauce inside. Where’s the meat, man? Don’t tell me it’s the thin chicken patty the whole thing is wrapped in. That's clearly the shell. “Qué diablos, Taco Bell”?